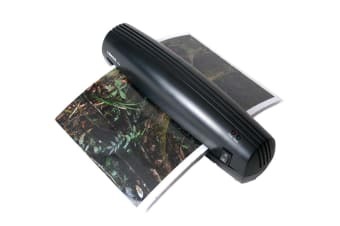 Preserve your most special moments with this sleek and efficient laminator, which secures your treasured memories in a tight, safe laminated seal. Your first completed qualification, your child’s first crayon-scribbled picture or an old memory stored in sepia in an antique photo – all of these are memories to be kept forever. But as hard as we try to avoid it, all memories fade with time. With the easy to use Lenoxx A4 Hot Laminator with Bonus 100 Laminating Pouches, you can keep your memories safer for longer!